You have a gorgeous, shining thing. You want to tell the world about it, but you get overwhelmed by all there is to do: social media, blogging, press releases (should you be sending them? ), in-person events. You'd like more sales and more reach and more opportunities…but you don't want else you could do to get them. There's a simple solution: You need a marketing plan + system. It's not just enough to know what you should do or what you could do, you need a plan that works for you, your skills, your people. And you need it to be as automatic as possible, so that you don't forget + get too busy to do it. “I had mostly given up on my email newsletter – I hated sending out what felt like repetitive ad copy, and almost no one was paying attention. It certainly wasn't bringing me any sales! When I hired Tara to help me with one of my sales pages, she said something that completely changed how I see my newsletter. My superpower is finding your star-studded sparkle. I ask the questions that bring out your best ideas, your shiniest strengths and your real enthusiasm. I'll help you craft a marketing plan from that shiny place, so that everything you do is sparkling with your crystal-clarity and ease. And then we get into the granular level of how to do the next thing – the very next steps for you to take, the plan going forward, the way it fits into your real-world universe. My work with authors, designers, and tech start-ups has endowed me with a zillion different examples of how things can work – together we'll figure out what will work for you. Let's shine a little starlight into the darkness. We'll craft your flight path through conversation and question-asking. When you register, you'll get a Flight Manifest, with a series of questions for you to answer. You return it and we schedule your Flight Plan session. When the time comes, we get together and start sketching solutions. A Flight Plan is $200. Note: Flight plans are booked up for now! Click here to contact me to reserve a time. You can also get one is as a member of the Starship. Launch your newest product, line or book. Toss that pile of Should-Dos and laser in on a plan that will attract your perfect buyer, explain why want it, and then sell it, with humanity, compassion, and authenticity (no sales-y, slimy tactics, here!) 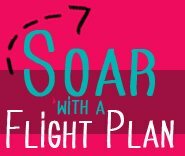 I worked with Heather to create a Flight Plan for her book launch and she tripled her list in the weeks before Publish Day! Get that Big Project done, while you continue to pay the bills. If you've got something bubbling away inside of you, but you're not sure where you'll find the time to make it, you need a Flight Plan. M + I crafted a plan to keep her old patterns selling while she writes her book! You can't get that kind of understanding, that kind of I-can-listen-and-hear-what-makes-your-thing-special-to-you-and-Your-People from a website or a book or even a friend—because they probably aren't marketing experts. Around 60 minutes of live path-finding*. Together we find solutions that you actually like, and then we find all of the next steps you need to do. Follow up! Even after we're done path-finding, I keep thinking! I'll send you notes, a recording, and a list of resources after the session is over. If you have questions, you are welcome to ask them, for as long as you need to. *These sessions are so packed with ideas, that 60 minutes is about all either one of us can last. I won't cut you off mid-sentence or anything, but most sessions come to a natural end around this time. If we are just alighting on some newfound epiphany, you better believe we'll keep going, at no extra cost. A designer landed a book deal. Celebrations! Except…she still needs to keep her sales hopping, to propel her through the writing. We found a way to keep introducing new people to her current designs, so things don't get stale while she focuses on the book. A small dress design company wants to rock their social media platforms. Together we developed a plan for their newsletter, their tweets and their schedule – without creating a new pile of work. An author has a brilliant book but few resources to invest in selling it Together we identified her assets and built a plan that was her publishers most successful launch ever. A teacher wants to branch into a new career as a speaker. Together we identified contacts that could make introductions, and expanded topics that would slowly move her into those new jobs. A bricks + mortar shop wants to fill their classes, but they don't know what will bring people in the door. Together we crafted a plan that used existing resources to spread the word to every interested student. Where would your Flight Plan take you? 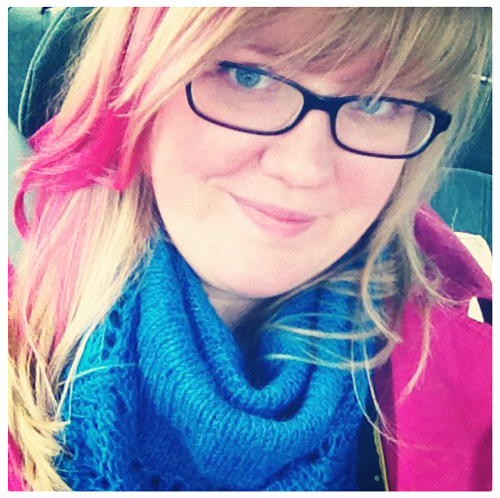 I'm Tara, an author, maker and Starship Captain. I've crafted flight plans for authors, tech start-ups, artists, and designers. Together we've worked on everything from newsletters to wholesale strategies to writing those tricksy emails. If you don't know me yet, grab your free e-course, and hang out on the blog for a while. Note: Flight plans are all booked up! The only way to get one is as a member of the Starship. I'll include information on scheduling your call and send you the workbook to fill out before the call, so I can get to know you and your business before we start. Share your questions, concerns, or stuckness beforehand and I'll be pondering and ideastorming before we ever get on the phone.